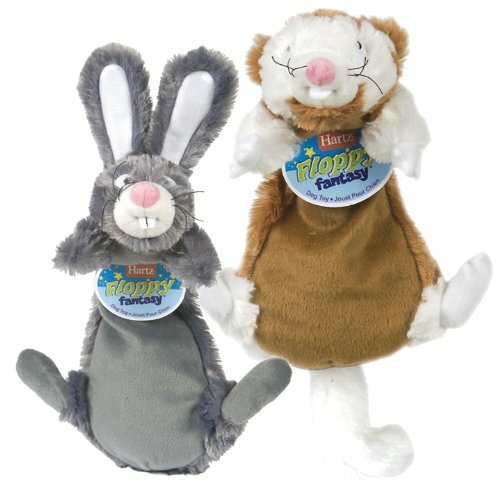 Soft and cuddly, the whimsical woodland Hartz Floppy Fantasy plush toy is a doggie daydream come true. Just as its name suggests, this toy is fluffy and floppy - perfect for tossing, tugging and shaking. A hidden squeaker will instantly have your pup’s tail wagging for an energetic play session. A must-have for your dog’s plush collection, this critter is ready for snuggles when naptime calls. Remember to supervise your pup with any toy. View More In Plush Toys.